OBJECTIVE: The ESL teacher provides specialized instruction in designated schools and teaches English as a Second Language to English Language Learners (ELL) for the purposes of developing the students’ ability to develop academic English to achieve in core content subjects. 1.Provides individualized English as a Second Language (ESL) instruction to English Language Learners in accordance with the Massachusetts State Frameworks and WIDA standards. 2. Plans effective ESL units of study, delivering well planned lesson daily. 3.Demonstrates effective techniques of classroom management, behavioral interventions, and communication to engage students. 4.Demonstrates cultural proficiency and use of effective and culturally relevant instructional practices. 5.Collaborates and communicates with the ELL students’ SEI content teacher(s) to align instruction and develop curriculum. 6.Assists with the oversight and delivery of Massachusetts state test (ACCESS) and administers screening tests for initial identification of ELL students. 7.Prepares for and assists with organization of ELL student reclassification meetings for monitoring and for those ready to transition out of ELL services. 8.Attends professional English Language Acquisition meetings as well as serves on building or district committees. 9.Attends RTI/MTSS meetings with colleagues for cases involving EL students. 10.Understands and complies with the upkeep of all records related to state policies, rules, and regulations regarding English Language Learners. 11.Performs other job-related duties as assigned. Welcome to Nantucket Public Schools! 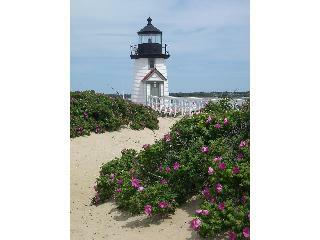 NANTUCKET - “The Grey Lady” or if translated from the Algonquian language, adapted to mean “island”. Discovered by Bartholomew Gosnold in 1602. An island of pristine beauty 14 miles long and 3.5 miles wide, Nantucket is a haven 27 miles out to sea with something to offer everyone. Once a thriving whaling industry, that decline led to tourism. Now, although a tourist destination, the population hovers around 13,000 year round residents to almost 50,000 people in the summer. The National Park Service cites Nantucket, designated a National Historic Landmark District in 1966, as being the “finest surviving architectural and environmental example of a late 18th & early 19th century New England seaport town”. National Geographic says Nantucket is the Number One Island of the 10 Best Islands in the World. Made up of towns’ Nantucket & Siasconset, it’s the perfect place to set sail towards and begin your new adventure. Nantucket Public Schools is committed to maintaining a work and learning environment free from discrimination on the basis of race, color, religion, national origin, pregnancy, gender identity, sexual orientation, marital/civil union status, ancestry, place of birth, age, citizenship status, veteran status, political affiliation, genetic information or disability, as defined and required by state and federal laws. Additionally, we prohibit retaliation against individuals who oppose such discrimination and harassment or who participate in an equal opportunity investigation. 1. What are the key components in developing an ESL Unit of study.